We explain the pitfalls of extended warranties, what existing protections you have under the law, and how to use the Consumer Guarantees Act. If you’re buying a home appliance and the retailer offers you an extended warranty, don’t be tempted. In most cases, they’re trying to make you pay for protection you already have. You can buy an extended warranty for a huge range of items, from breadmakers to plasma televisions, and even for furniture. An extended warranty means you don’t have to pay for repairs for a specified period after the manufacturer’s own warranty has expired. Manufacturer warranties can last for anything up to 2 years, while extended warranties generally give cover for 3 to 5 years beyond that. 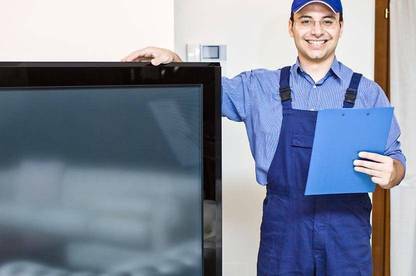 You can buy an extended warranty for a huge range of items, from breadmakers to plasma televisions, and even for furniture. Extended warranties are also offered on cars, but in this article we focus on home-based products. Customers’ uncertainty about their legal rights and their insurance cover creates an opportunity for retailers to sell extended warranties. The costs involved can be significant – up to 15 percent of the purchase price. When you buy an extended warranty, you’re probably paying for protection you’re already entitled to under consumer laws or your home and contents insurance or the manufacturers’ warranty. 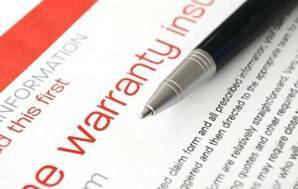 In some cases, the extended warranty offers less cover than you’re entitled to under the law. Under this Act, manufacturers and retailers are obliged to guarantee the products they sell are of an acceptable quality and fit for their purpose. Most appliances, certainly the big ticket ones, can be expected to perform well for many years, not just the period covered by the manufacturer’s warranty. This means that if your product fails when it’s still reasonably new, you can have it repaired or, if that isn’t possible, replaced, even if the manufacturer’s warranty has expired. So there’s no value in having an extended warranty if the only thing it gives you is cover beyond the period of the manufacturer’s warranty. The Consumer Guarantees Act also offers broader cover than some manufacturer warranties imply. For example, if a product fails when it’s still reasonably new, and hasn’t been misused, the manufacturer can’t say the fault is because of “wear and tear” and refuse to repair it – even if the warranty says wear and tear isn’t covered. So, there is no additional benefit from an extended warranty that gives cover for “normal wear and tear”. The extended warranty may cover accidental damage, but so does your home and contents policy. For example, your contents insurance should cover damage to computers and electronic appliances from power surges. For some people, the hassle of getting legitimate repairs done using the Consumer Guarantees Act is daunting and extended warranties are an attractive alternative form of protection. But some extended warranty contracts have significant cover limits and are an inferior alternative to the Act. For example, the contract may exclude damage caused during delivery and total loss of the product due to the non-availability of parts. Some warranties do not pay for freight and travelling time for a legitimate repair. It’s important to remember that nothing in the warranty contract can reduce your rights under the Consumer Guarantees Act, so if you have a faulty product but aren’t getting compensation because of a restrictive clause in the warranty contract, you can challenge the contract. Are they ever worth it? There are situations where an extended warranty is worth considering. These are when the warranty goes beyond the Consumer Guarantees Act. An example would be guaranteeing replacement with a new item if something goes wrong, rather than having to wait for repairs. The warranty may give cover for a very long period (for example, in the form of an extended service contract). If you anticipate giving the item a heavy workload (imagine a washing machine used by a family of 8), you could see your rights under the Act expire quickly and an extended warranty may be of value. And remember the Consumer Guarantees Act doesn’t apply to goods normally used for business purposes (such as farm machinery). It does apply to all goods normally used for personal or household purposes, but retailers can opt out of the Act if you’re buying those goods for business purposes. To opt out, the retailer has to provide a written statement that the Act won’t apply. So if you’re buying items for business use, extended warranties may give you protection you don’t automatically have by law. When a retailer offers you an extended warranty, they must give you information about your existing legal rights under the Consumer Guarantees Act (CGA). If you decide to buy a warranty, you’ll have a “cooling-off” period of 5 working days to cancel and get a refund if you change your mind. A summary of your rights and remedies under the CGA. A comparison of these rights with the extra protections offered by the warranty. A summary of your right to cancel the agreement. All the terms and conditions of the warranty must be included in the agreement, including the duration of the warranty, and whether it expires when a claim is made. When you buy a warranty in-store or over the phone, the trader has to give you oral notice of your right to cancel the agreement. You can give notice to cancel either orally or in writing. You’re also entitled to cancel the agreement at any time if the warrantor fails to give you the information they’re required to by law. However, this right doesn’t apply if the failure is minor and has not materially disadvantaged you. Traders risk being prosecuted by the Commerce Commission if they fail to comply with the requirements for extended warranties. Penalties for breaches are $10,000 for an individual and $30,000 for a company. The commission also has the option of issuing an infringement notice. The maximum infringement notice fine is $1000. If you’re buying products for your personal use, we think you shouldn’t bother with an extended warranty. With most of them, you’re paying for cover you already have through the Consumer Guarantees Act and your home and contents insurance. Look at the fine print and make sure you buy a warranty that gives you as much protection as the Act would. Be aware that some extended warranties run concurrently with the manufacturer’s warranty so the additional period of cover is less than the term of the extended warranty. For example, a 5-year extended warranty on a product with a 2-year manufacturer’s warranty gives you 3 years of extended cover. Make sure you know who is backing the scheme and how financially sound they are. If you have an extended warranty but you’re still having trouble getting a faulty product fixed or replaced, exercise your rights under the Consumer Guarantees Act. Always keep proof of purchase to ensure the extended warranty contract is honoured. You will also need this to claim your entitlements under the Consumer Guarantees Act. If you have a faulty product, your first point of call should be the retailer who sold it to you. Be prepared to show a proof of purchase and give the retailer a written description of what is going wrong. If the problem is minor, the retailer has a choice between fixing it, replacing the product, or taking it back and giving you a refund. If they won't or can't fix the problem within a reasonable time, you can demand a refund or a replacement, or you can have the product fixed elsewhere and ask the retailer to pay. If the problem is serious, it's your choice whether the retailer replaces the product, or takes it back and gives you a refund. When you get a refund, you're entitled to cash, a cheque or a reversal of your credit card payment. You don't have to accept a credit note that has to be used at the same shop. In addition to these rights, you may have rights to claim for losses that arise from the fault. For example, if your washing machine won't go properly you can claim the costs of going to a laundromat while it's being fixed. Consumer NZ (if you're one of our members – contact our advice service 0800 266 786). You can also take your case to the Disputes Tribunal. For more advice about how to exercise your rights, see our full guide to the Consumer Guarantees Act. Looking at a front loading washine machine today. Its hard to read any reviews where a product is given all positive comments. That is, even the so-called top of the range products dont all get 5 star ratings. This makes it hardcto choose. So I read the extended warranties article here on this site and it makes for generally good advice, and understand that the consumer already has cover under the CGA, but surely the reason for the EW is just that.. an extension beyond the CGA and manufacturers warranty, not wholly designed to be a replacement? I will tread carefully however and make a decison on whether to get one at the time. Took my stick vac into Noel Leeming ysterday with a common fault, after a bit of a discussion they made a call to Electrolux and it was decided to replace it as it was still under warranty. My model was dicontinued so they offered me a gift card. I said I would like another vac so they showe me the new model on special at $209.99, which meant I had to pay an extra $15.99. I was happy with that. But when the girl came out with a vac she said "we dont have that model in stock (only a used showroom one) so this is the next one up but its so much better, it has a far better battery and a 5 year warranty" ok how much - "only $235 more! A bit mor than I was wanting to pay but she told me the $209 one wsnt readily avialable and it was either this or a store gift card. I asked if she could do any better but she said no , that the special price and its normally over $500. I reluctently agreed as a store gift card wasnt going to give me a new vac. When I unpacked the vac last night I noticed the card said 2 year warranty, checked my reciept and found I had been charged $329.40 for the vac plus $99.99 for a 5 year extended warranty. Not happy!!!! A big THANK YOU to consumer for your phone advice. I recieved a full cash refund once I mentioned I had been talking to you and would pass on all details if I did not recieve what I was entitled to :-) Membership pays!!!! Samsung TV out of warranty - has already been repaired once. We bought a Samsung tv on the 29/06/13 and had it repaired last year as we were losing the picture. This has started to happen again. After speaking to someone at work they thought that this repair/replacement would be covered under the CGA. Can you please advise as I would like to go back to Farmers to see what can be done. Re: Samsung TV out of warranty - has already been repaired once. As you’re a paying Consumer member, feel free to give our advisers a bell on 0800 266 786. If you can provide them with more information, they can walk you through this. Can I Use the Consumer Guarantees Act On this Battery Charger? I have a Ryobi battery charger that is almost 3 years old , i.e. the manufacturer warranty of two years has expired. The charger has only been used a dozen times, and it looks brand new. There are no obvious damages to the outer casing. A few months ago, the charger stopped charging battery, and the charging LEDs will not light. Bunnings will not repair the charger because it is more than two years old. Re: Can I Use the Consumer Guarantees Act On this Battery Charger? Under the Consumer Guarantees Act you have the right to expect a product to be durable. In our view, no reasonable consumer would expect a battery charger to fail after only a dozen uses, even if it’s several years old. As long as you haven’t been storing the charger in an environment which could damage its electronics, for example a damp, leaky shed, then we believe Bunnings should replace the charger or give you a refund.